1/8" steel sheet with a 55,000 psi minimum yield strength shall be used to replace the skin plate cut away from the collars. Cut damaged collar from the man hole end return, being careful not to cut into the vertical tubes. 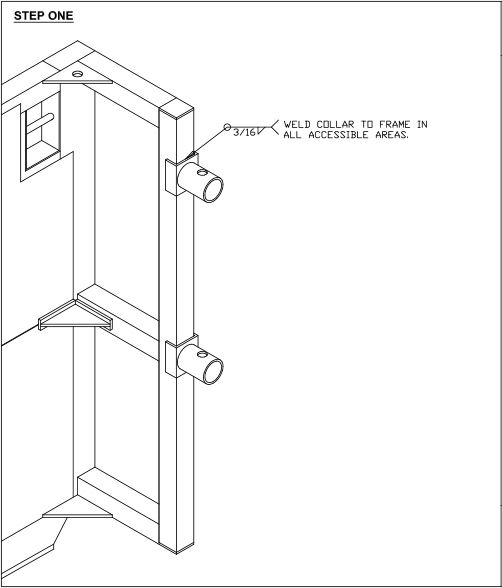 Weld the replacement collar to the tubes in all accessible locations using a continuous 3/16"